From leaving the house for showings and open houses to having to keep the place spotless at all times, having a home on the market can be a nerve-wracking endeavor. Once you’ve made the decision to sell, you want to know that you won’t be in this anxiety-filled limbo forever. You want to hand over those keys, collect your check and move on — literally! 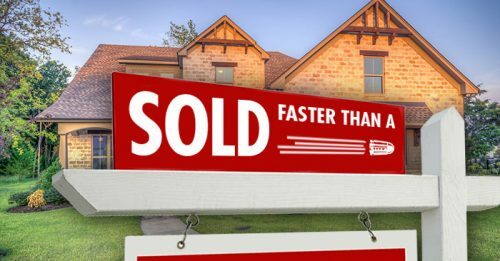 So, without lowering your asking price, what can you do to sell your home in a hurry? The following are 11 strategies that will help your property sell quickly without your wallet taking a heavy hit. Few things detract from the beauty of a home quite like clutter. Though straightening and organizing is rarely the way most homeowners want to spend their days, it makes a huge difference. We’re not just talking about scrapping the junk mail either. Rid your entryways and mud rooms of extra coats, bags, and boots. Keep those countertops clear, and don’t forget to straighten up inside the kitchen and bathroom cabinets! 2. Rent a Storage Unit. Try removing one third of your items — especially from closets — before putting your home on the market, as this will make your home appear more spacious. Consider renting a storage unit rather than stuffing your basement or attic — because buyers look there as well! 3. Clean like you've never cleaned before. 4. Up your Curb appeal. If a property looks well-cared for from the outside, chances are it’s been well-maintained on the inside too. Plus, prospective owners look at a lush lawn as one less thing they have to deal with after they move in. As hard as it might be to imagine that no one wants to see your Beanie Baby collection, it’s true. Not only will quirky displays distract would-be buyers, they can turn them off to the property completely. Don’t take that chance. 6. Be your own marketing machine. While having a great agent in your corner is half the battle, don’t be shy when it comes to spreading the word on your own. You never know who has friends or family looking for new digs! 7. Make sure your photos are perfect and plentiful. Most buyers will form a first impression of your home based on online listing photos. So you definitely don’t want to leave picture-taking to an amateur. An experienced photographer knows how to show off each room to its full advantage. Don’t miss an opportunity to attract buyers by allowing your space to look cramped and dark. 8. Make Minor upgrades (that make a major difference). Fresh coats of paint brighten up rooms and make them appear fresh again. If you don’t have the money to splurge on a major kitchen renovation, consider inexpensive updates like switching out the hardware or light fixtures. If you’re willing to invest a bit more, replace an outdated appliance or two. Something as simple as cleaning the grout in your bathroom will go a long way toward making the place shine. 9. Keep the pets (and their odor) out. While you might think of your pet as a furry family member, not everyone is going to be as fond of Fido — or his funk. You may be immune to the scent of your cat or dog, so ask someone you trust to tell you if your home has an odor as that proves a major turnoff to buyers. Once you’ve got the smell under control, make sure your pet is not on the premises for any showings. People with allergies or those who fear an unfamiliar pooch not only feel more comfortable but take the time to explore rather than run back to their car. 10. Adding a closet adds a bedroom. If you have a den or home office and believe your place would sell faster if it had another bedroom, adding a closet is easier than you think. If you’re handy, instructions abound, making this a DIY project for any weekend warrior. Rather leave it to the pros? Homeadvisor.com estimates the average cost to build a 6.5 feet wide walk-in closet is around $1,500, which is a small investment compared to how much value another bedroom adds to your home — and its asking price. If this takes your three-bedroom home to a four-bedroom and that’s what sells fastest in your neighborhood, it’s time to start planning. 11. Take care of anything that will pop up during inspection. You know that loose handrail you’ve been ignoring? Fix it. Now. If you’re aware of problems that will undoubtedly appear on a home inspector’s report, deal with them as soon as you can so you don’t waste time or lose a potential buyer.